"This is a practical book you can browse, put it down, pick it up again and is full of useful tips, case studies and self-assessment tools. It contains a useful model and I quickly acquired a mental map of it. The authors know this territory well. They have many years experience working on the leadership development front line, helping public servants produce better outcomes for their demanding, short-termist political masters and achieve better quality and value for taxpayers and users of public services." It is with great pride I can say that we have spotted our books in Dubai! Image below it is truly satisfying to see them go worldwide. 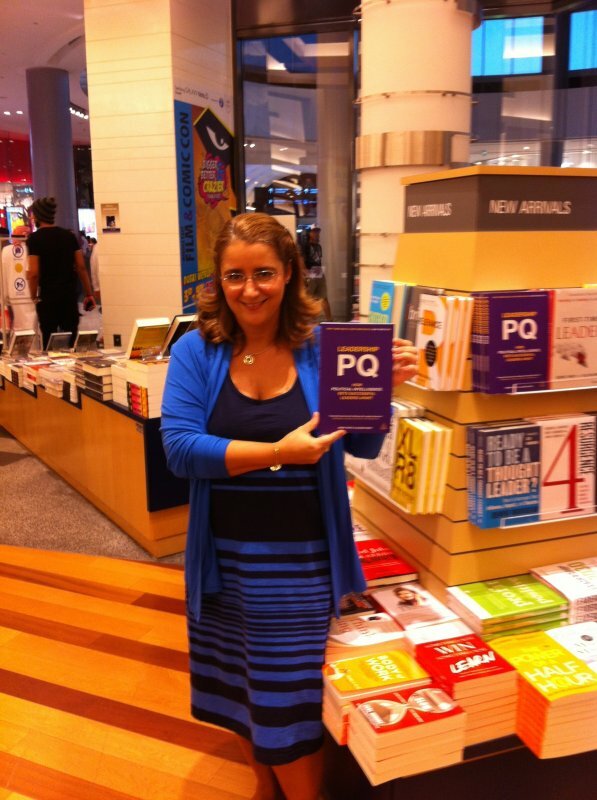 "Fundamentally this is a practical guide to navigating the Golden Triangle of business, government and society, at its core presenting a convincing model for developing leaders and organizations based on five facets: futurity; power; empathy with purpose trust; and versatility.It is with great pride I can say that we have spotted out books in Dubai! Image below it is truly satisfying to see them go worldwide." What Will Make the Next Generation of Leaders in your Organization Successful? What will they need to do? Predicting the future is risky; nonetheless the following trends offer some clues. Many global business leaders know that delivering for society also delivers for the business. Some consider this cynical. Others see it as liberating. Most people much prefer to work in a business, or buy from one that makes a profit and helps others. Take Facebook’s plans to work with the Indian government to connect people in remote villages to the internet. Connecting these communities opens up economic and social benefits for inhabitants. For Facebook, and for its commercial partners, it offers exponential growth. Zuckerberg comments that India has 243 million internet users and 100 million Facebook users, but there are over a billion people who don’t have access to the net. While delivering for society works for global players like Facebook, Coca-Cola, IBM, and Unilever; why might it matter to other businesses? Consumers are well informed, well networked and expect more. They want business to lead social change (JWT consumer surveys in the US, Europe, Asia, Latin America) and the 18-30 age group most strongly. Muhtar Kent, (Chair and CEO of The Coca-Cola Company) comments that there is a hard business outcome hanging in the balance. Consumers want to know and understand the character of a company. In our networked age, what they find out will influence their choices and they in turn will influence others’ choices. High potential employees will be in demand across the globe. Opportunities to work on projects that benefit society, within a business that their peers respect, will attract them. Global companies with a social ethos will want to contract suppliers and service providers whose values and reputation fit with their business model, to avoid any risk of embarrassment. Facebook offers one example of cross business, cross cultural, cross sector partnerships. Many more global companies like Coca Cola, Unilever, P&G, Standard Chartered Bank, and IBM partner with government and NGOs to deliver innovative solutions to address global social problems that affect people nationally and locally. What global companies do now at national and international levels is spreading. Increasingly, other companies and NGOs are partnering with government to deliver local solutions. In addition to commercial skills, leaders will need PQ capability. PQ – political intelligence is the ability to work with others to shape a future that benefits society. It has five dimensions. Future oriented: visionary and pragmatic. The ability to imagine what society might want in future and build a diverse team, of partners and stakeholders with the capacity to deliver it. There is a Japanese proverb which says ‘Vision without action is a daydream. Action without vision is a nightmare.’ Conceptual ability matters as much as strong project management and analytical skills. Powerful: it’s easy when you’re the boss to make things happen. A snap of the fingers… well almost… and things get done. Working with partners and multiple stakeholders, the emphasis is on engaging others to buy into a common vision and deliver a practical outcome. Our interdependent world has multiple stakeholders. Having broad networks (cross sector, cross cultural) enables leaders to influence stakeholders directly and indirectly through others. Competing stakeholder interests demand skilful handling. Understanding the complexity and explaining it in simple terms helps others choose between short term gains and long term benefits. Empathy with purpose: successful partnerships rely on strong relationships and a shared passion for achieving a common vision. The best business leaders will become global citizens who have an empathy with society and can make balanced choices between profit and creating a better future for all. Trusted: only 1 in 5 people (Edelman Trust Barometer 2014) trust business leaders to tell the truth and make ethical and moral decisions. Putting integrity at the heart of a business and sticking with it, even when not convenient, builds trust with consumers and partners. Versatile: complex relationships demand flexible thought and behaviour. Leaders will need to know - when to push and when to concede, when to empathise and when to rationalise; and understand - when managing a relationship trumps the task, and when focus on the outcome matters more.